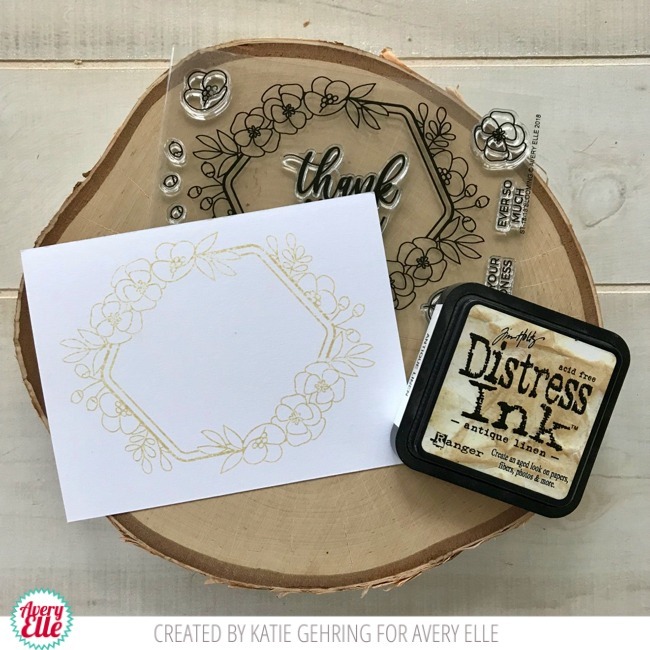 Katie here with a card and technique to share with you today featuring the Blooming stamp set. 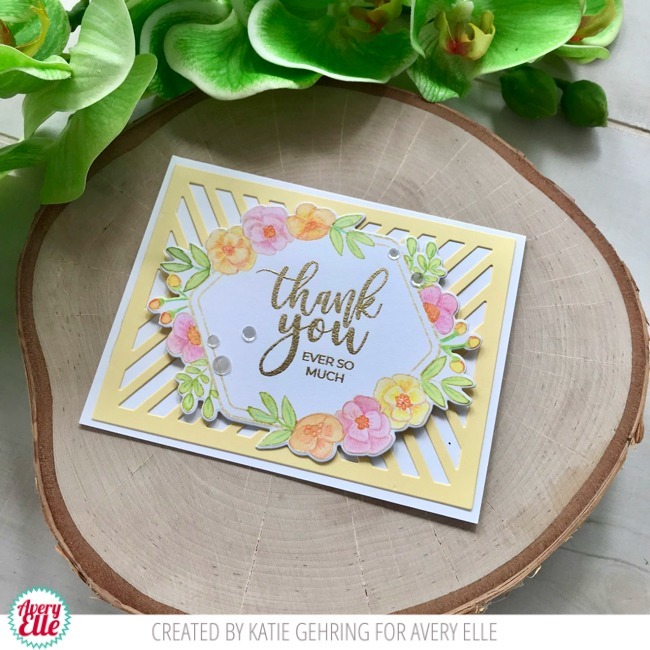 The Blooming stamp set features a beautiful and versatile floral frame that can be customized any way you like from the colors to the sentiment inside the frame. 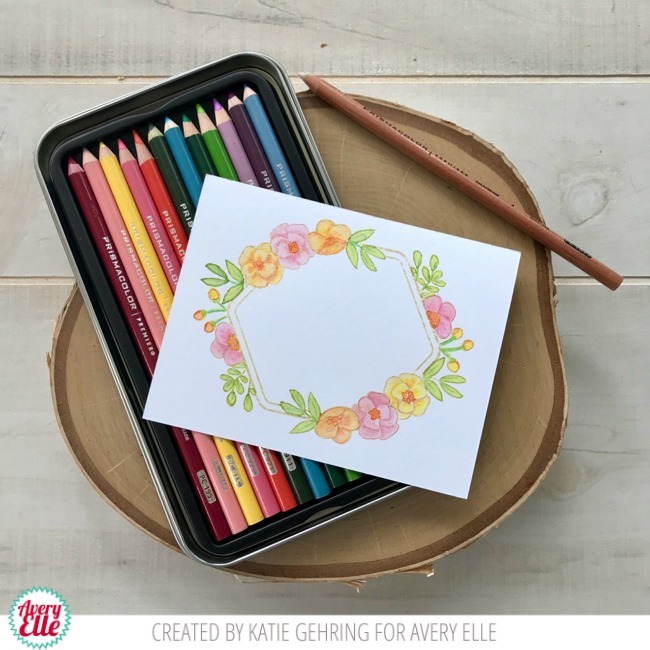 For my card today, I thought I would share with you an easy technique for adding details to watercolor images using colored pencils. 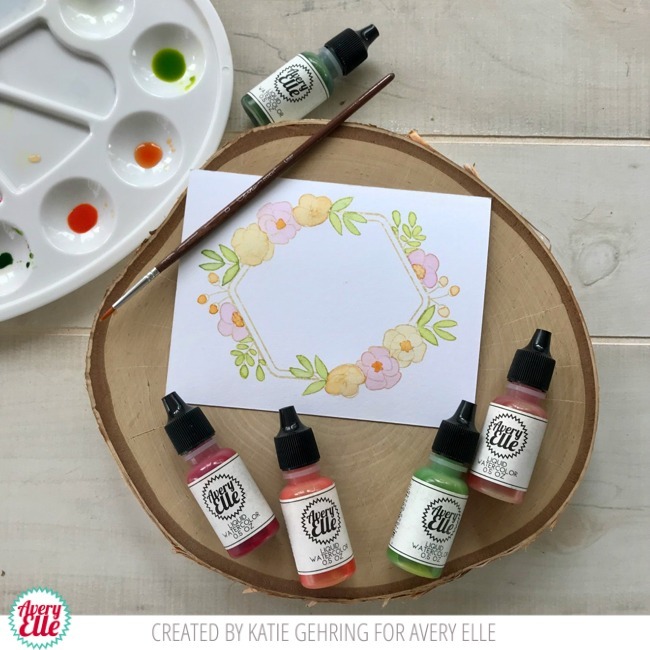 I love the look of watercolors on stamped images, but being a novice, sometimes I find it a bit challenging to get the brush or the paint to create the effect I want- especially when it comes to adding details to small images! Colored pencils are a great solution and allow me to add fine details while still blending beautifully with a watercolor base. My first step, since I am attemping a "no line" watercolor look, is to stamp the image using a light ink that is compatible with a water color technique. Here I used Distress Ink in Antique Linen. 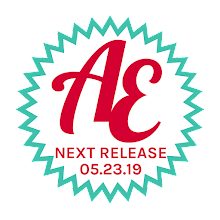 Next I added a wash of watercolor to the frame using Avery Elle's Liquid Watercolors in Cherry, Fizz, Mimosa, Lemon Grass and Celery. I started with the greenery before moving to the florals. Be sure to allow time for the watercolors to dry before switching colors - especially on adjoining images, otherwise the colors will bleed together. Once the paint has dried completely, I added some details and shading using Prismacolor pencils. I am still learning, so I focused mainly on the centers of the flowers, shading beneath the petals, and adding veins to the flowers and leaves. I colored over the pencil lines with a colorless blender pencil to soften some of the lines and blend out the shading. 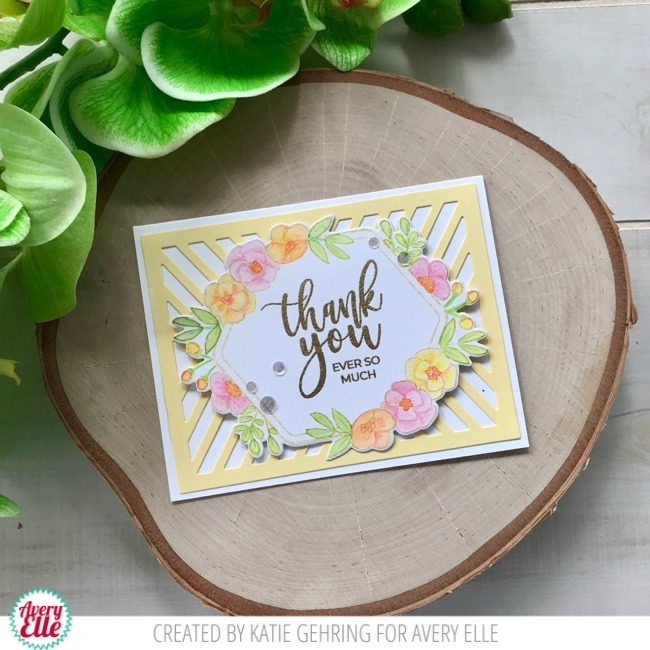 To finish the card, I stamped the sentiment with Versamark ink and heat embossed it with Avery Elle's Rich Gold Embossing Powder. I die cut the frame and adhered it to a card base that I covered with the Chevron Mat Elle-ments die cut. A few flat sequins add a finishing touch. I hope you'll consider giving this technique a try next time you watercolor!